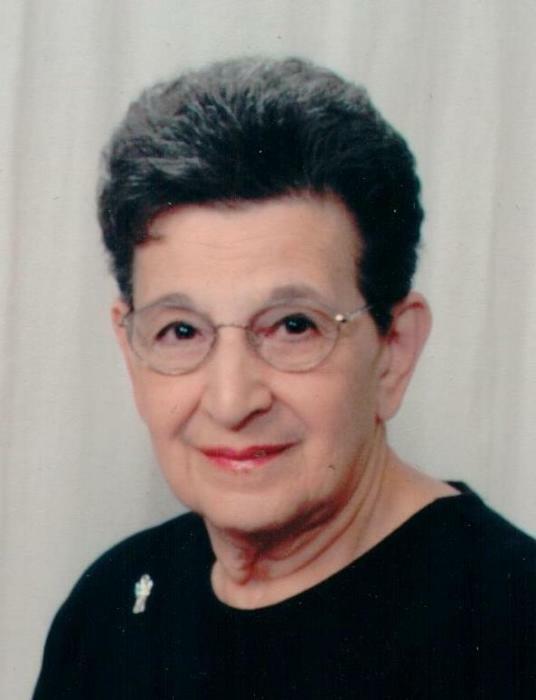 Wynantskill- Elia J. Gori, 90 passed away on Wednesday, November 21, 2018 at Samaritan Hospital surrounded by her loving family. Born in Troy, she was the daughter of the late Joseph Panza and Mary Gully Panza. Elia graduated from Troy High School, for many years she worked at Sacred Heart School as the lunch lady in the cafeteria, she also worked as a waitress at the Elks Club. Elia loved spending time with her family, she was known to have the best spaghetti sauce, but most of all she will be remembered for her love of her daughters and grandchildren. Elia is survived by her husband John Gori, her daughters Rosemary Tymeson (Jeffrey) of Wynantskill and Elia Coonan (Joseph) of Wynantskill, her grandchildren Jordan Tymeson, Nicholas Tymeson and Grace Coonan, her sister in law Roz Panza, her nephews Frank Gori (Christy) and Joseph Panza, also survived by several cousins. Elia was predeceased by her brother Joseph Panza. The family would like to thank the staff at Van Rensselaer Manor unit B-1 for their excellent care and compassion given to Elia.